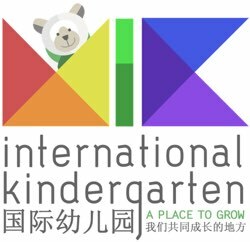 We are Muffy’s International Kindergarten (MIK), a team of dedicated Leaders, Educators and Learners. Our foreign teachers represent all parts of the world. We pride ourselves in creating a space that encourages our students to learn and grow naturally. MIK has been operating in Beijing since 2004. Our vision is to give our students the experience they need to become caring, life-long learners and Competent and Confident Individuals in a changing world. We seek to achieve this goal by providing a Holistic Education English Immersion in which we create a natural and caring environment that allows each student to develop their full potentials. We encourage students to foster creativity by introducing various themes, teaching them about the world and environment, and inspiring them to move, sing, dance, and play. With our growing number of students, we need talented, experienced and creative individuals to join our existing team of outstanding teachers. Students who come to the school are between the ages of 2 to 7 years old. Each teacher has their own class they stay with for the entire year with a maximum of 18 students in the class. Along with our Chinese Teacher assistants and daily life teachers, teachers engage our students to develop their own talents and social competence to become a curious life-long-learner. We are currently recruiting for the Fall 2018- 2019 term. We invite you to be part of our team! Start Date: August 16th . • Organized team outings which include KTV nights, BBQ dinners and sightseeing tours! Please send us your CV, scanned degree and passport to careers@mik-kids.com. Please refer to this posting by adding MIK to the subject line when applying. Due to the large volumes of people applying, only successful applicants will be notified. All documentation is kept strictly confidential. Feel free to learn more about our school and positions by visiting our website http://www.mik-kids.com. We recognize that moving and working in a different country can be daunting which is why we have dedicated our resources to ensure that you have a Foreign HR Assistants(very rare in other schools) and a Visa Officer to assist our teachers.